Supposedly, the US is in Afghanistan to defeat Al Qaeda. Obviously Al Qaeda, a small terrorist organization, isn’t going to hang around in Afghanistan for the United States Army to come capture it. By the estimate of Fox News, there are only about 50 members of Al Qaeda remaining in Afghanistan. Obviously, Al Qaeda will find refuge in other parts of the world. Is the US going to invade other countries where Al Qaeda is present? The answer is no, because the US does not have the strength, nor the money to undertake new invasions. Iraq and Afghanistan have drained the US of trillions of dollars, and are largely accountable for the current US depression. Afghanistan’s ruler, Hamid Karzai, has established together with his brother a government of cronies and a very tiny, narrow circle of supporters, within a tiny part of Kabul, which now contains huge villas, in sight of the eyes of the poor. General Eikenberry, the U.S. Ambassador in Afghanistan, warned very seriously against against “the surge” of 30,000 extra troops. Eikenberry was convinced that the extra surge was going to be a disaster. And in the short time with mounting US and NATO casualties, he has been proved right. 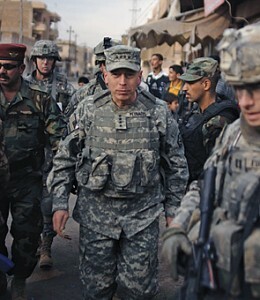 The new American military commander in Afghanistan, Gen. David H. Petraeus, has been glorified as the architect of the supposedly successful surge in Iraq. In a prior post we presented a study by UCLA that it was the ethnic cleansing of Sunnis by the Shia’s in Iraq and not the surge that furthered the US cause in Iraq. The surge did not work in Iraq as it is not working in Afghanistan. 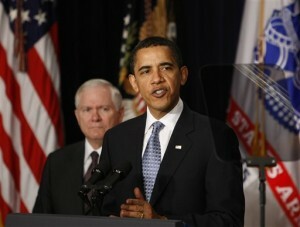 Petraeus has introduced the idea of blacklisting the group, known as the Haqqani network. This could complicate an eventual Afghan political settlement with the Taliban and aggravate political tensions in the region. As we wrote on June 27th, Pakistan has been working with Karzai that a postwar Afghanistan should incorporate the network of a longtime Pakistani asset, Sirajuddin Haqqani—a top Taliban commander in the North Waziristan tribal area of Pakistan. This would pacify the warring groups and bring some semblance of peace and order to Afghanistan. Petraeus, by attempting to blacklist the Haqqani group is attempting either knowingly or unwittingly to prolong the war in Afghanistan. This is politically advantageous for Obama, as, like Bush, Obama needs to be a “war president.” When wars are in progress, the politics greatly favor the incumbent, be they Democrats or Republicans. With the Afghan war in progress, Obama knows, at the cost of blood and money, he has a better chance of having his party, and himself, re-elected.